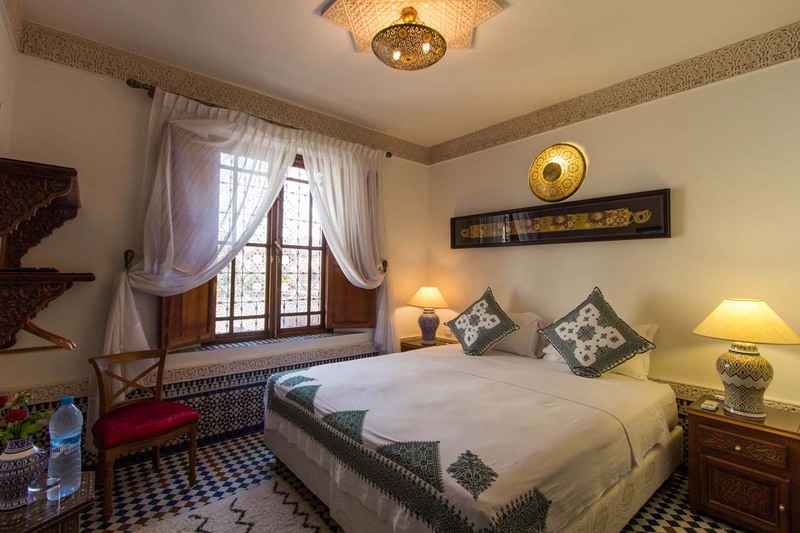 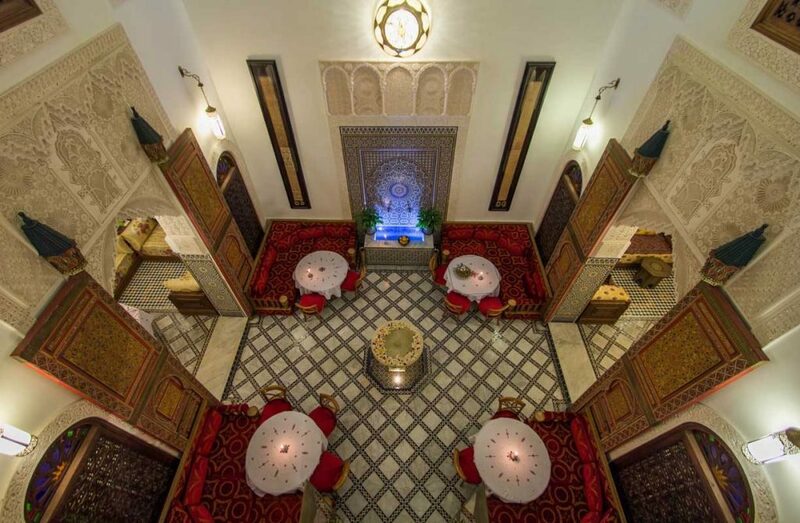 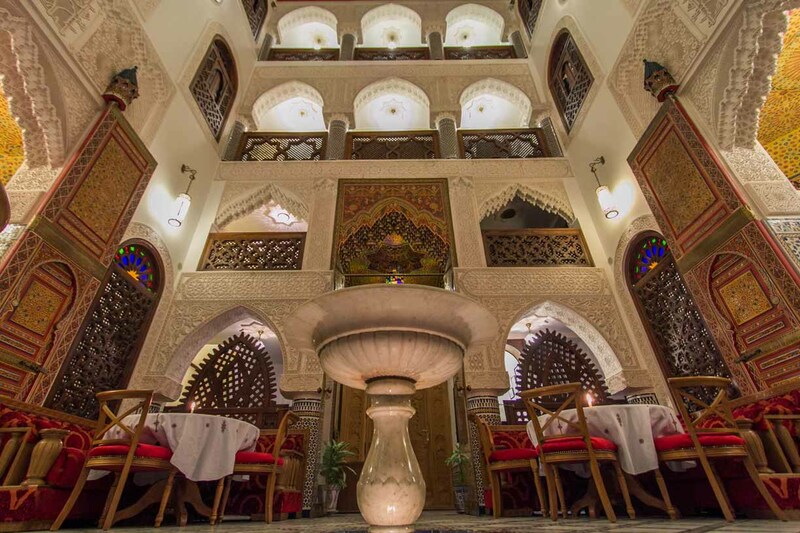 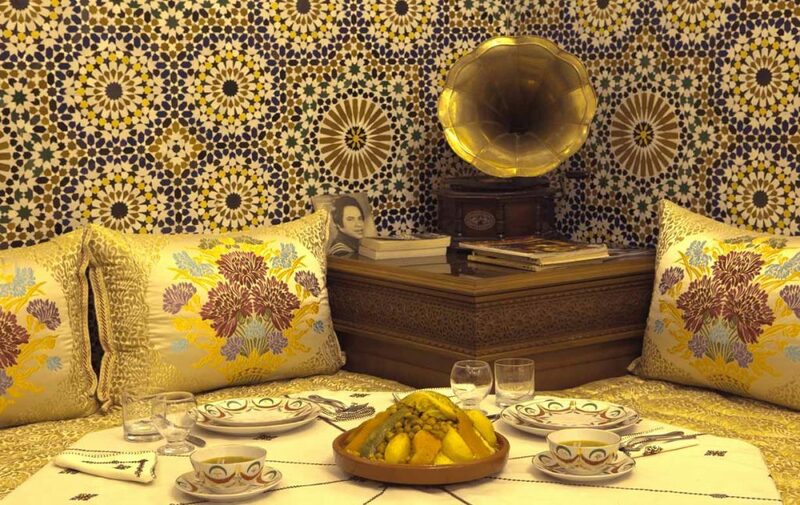 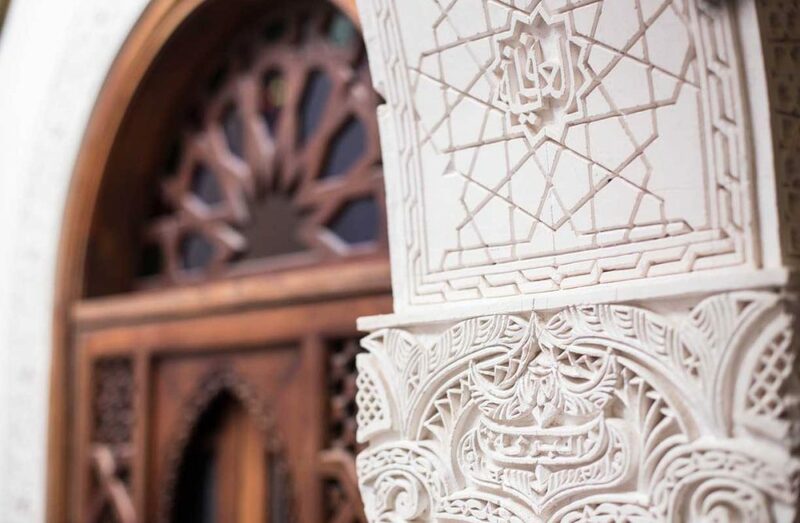 Riad Mazar is a beautiful traditional Moroccan house that has been refurnish to create an elegant arabesque atmosphere. 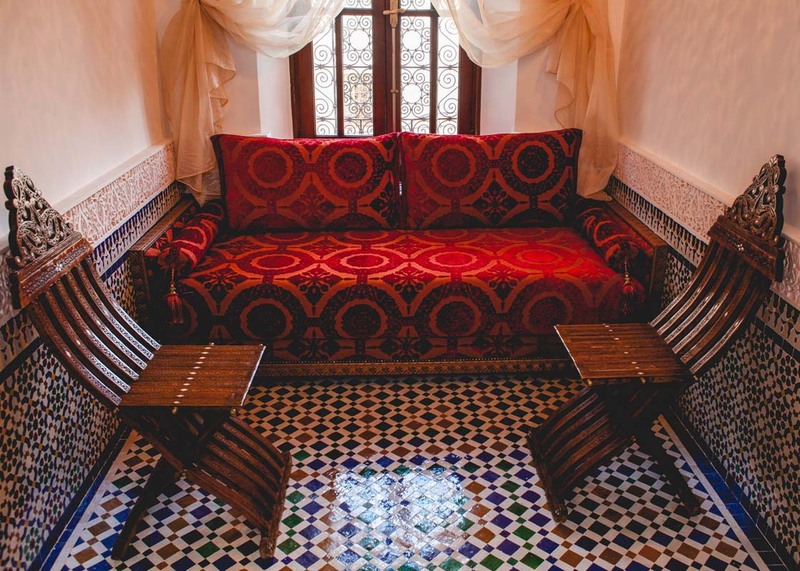 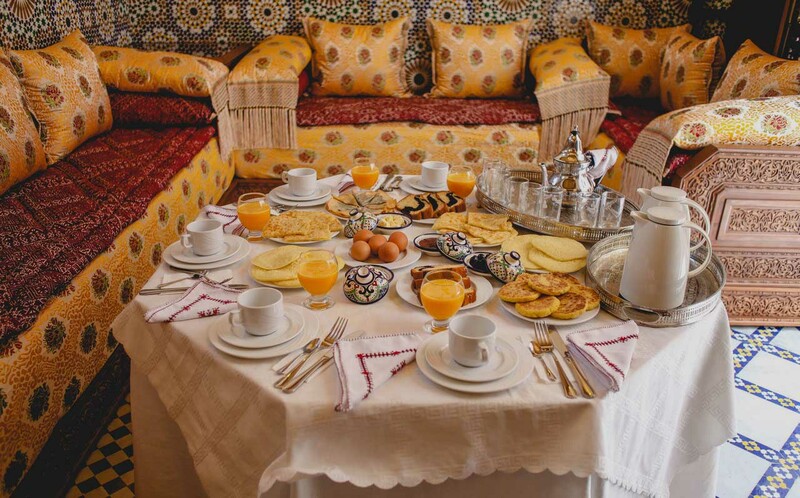 This beautiful riad combines tradition with comfort to create unique and pleasurable place to stay during your trip to Fes, Morocco. 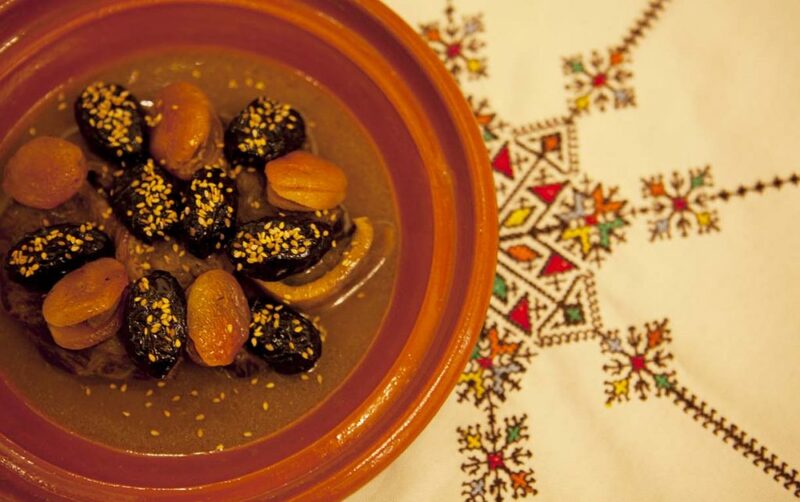 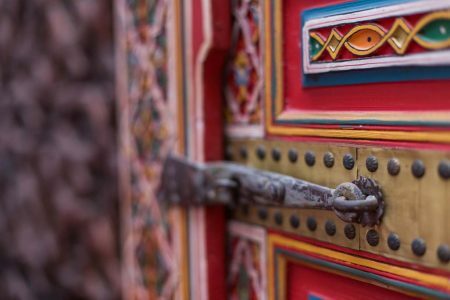 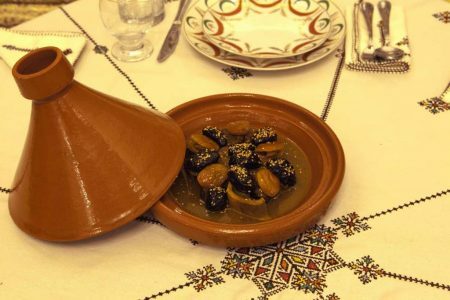 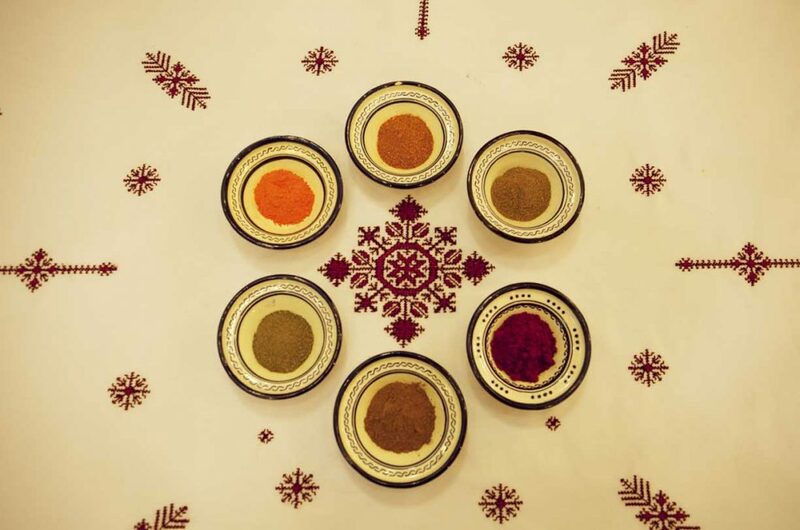 Moroccan food is well renowned for being incredibly diverse, thanks to the strategic location and interaction with other cultures over the centuries. 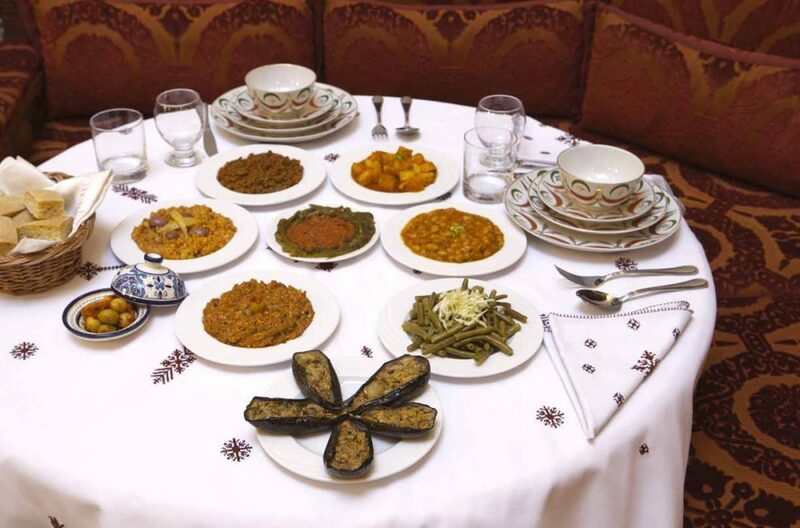 The food has Berber, Moorish, Arab and Mediterranean influences. 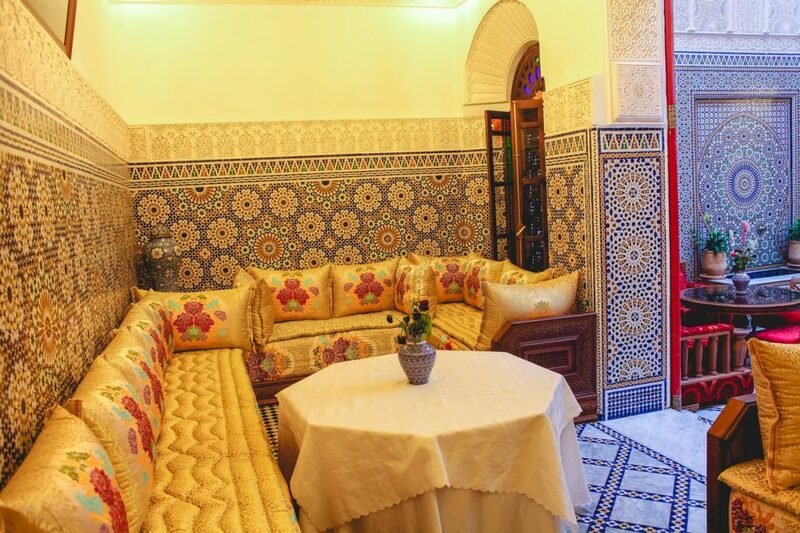 And every single Moroccan region has its own features that distinguish it from others. 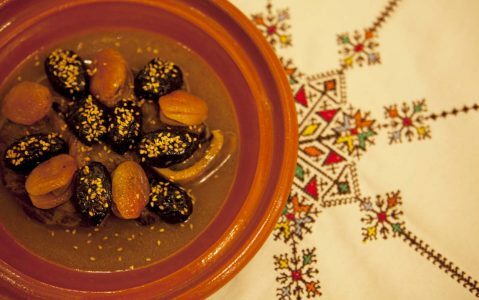 Fes cooking for example, its particularity lies in the amalgamation of sweet and salty by the use of fruit and vegetables together. Spices such as caraway, coriander, pepper, paprika, and cinnamon are also use skillfully, and you can find them in the most famous local dish, the pastilla. 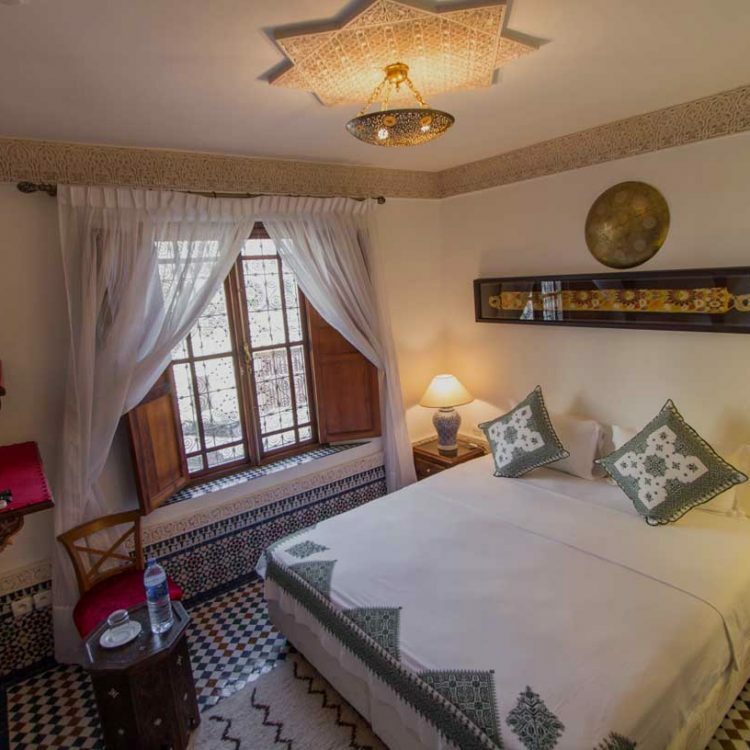 This is exactly where you want to stay in Fes. The property is beautiful and spacious, the location by the medina is perfect, we were very well taken care of by Siham and the staff. 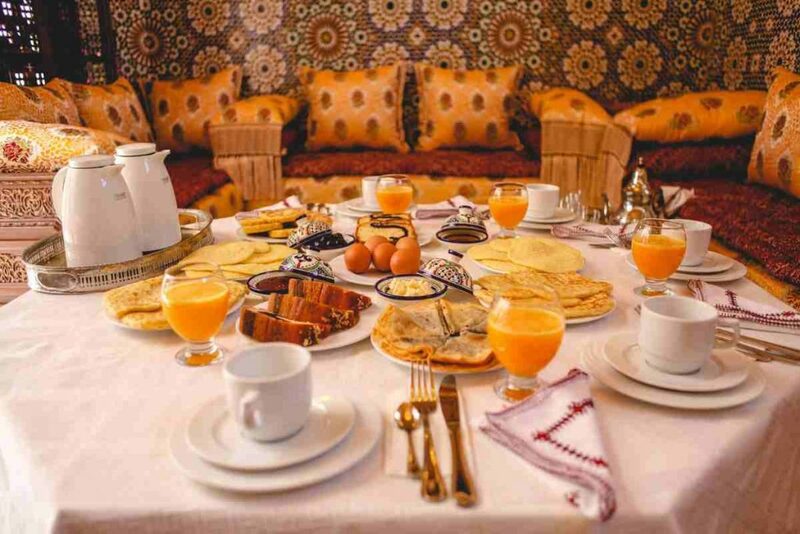 They accommodated our late 3 am arrival, our need for an early breakfast on the day of our departure, and even surprised us with an upgrade to our room. 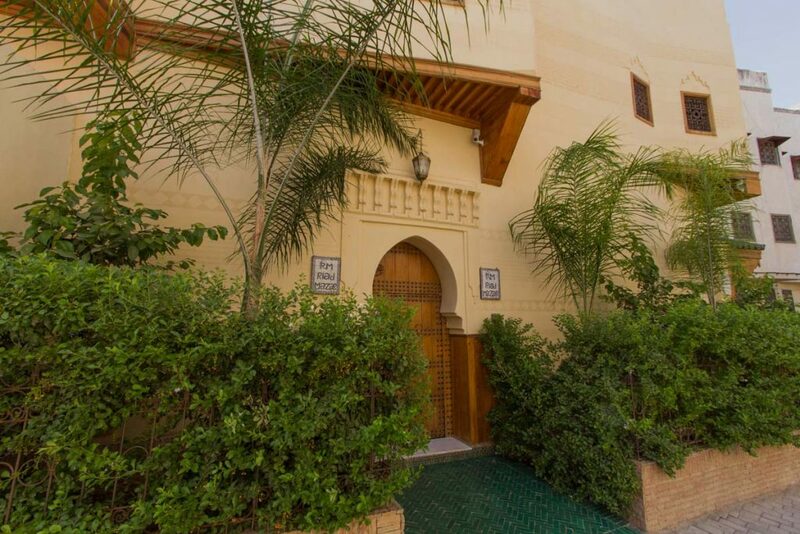 Siham booked a good 1/2 day medina tour for us (she can arrange anything!) 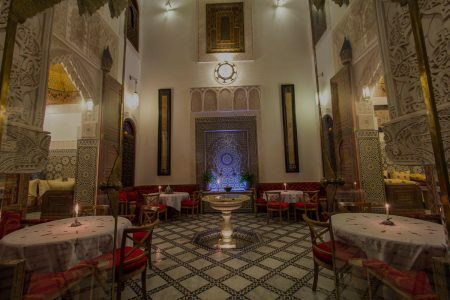 and we had the best dinner of our trip there. 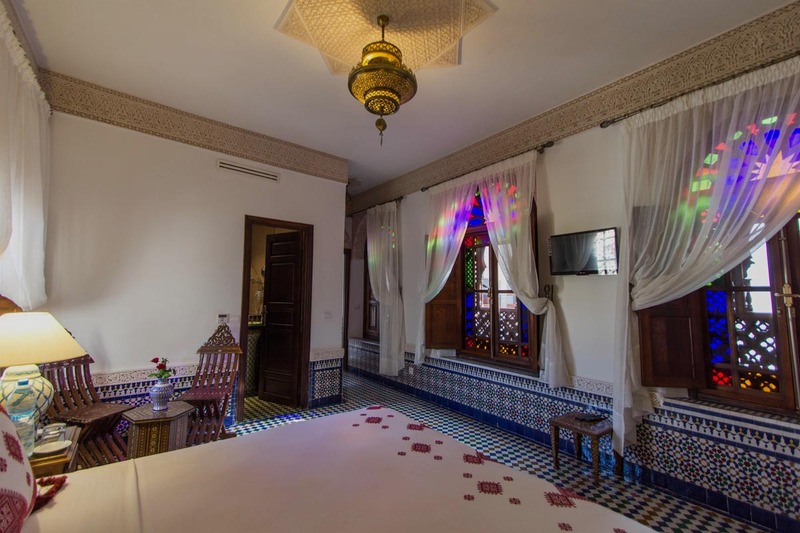 I wholeheartedly recommend this riad! 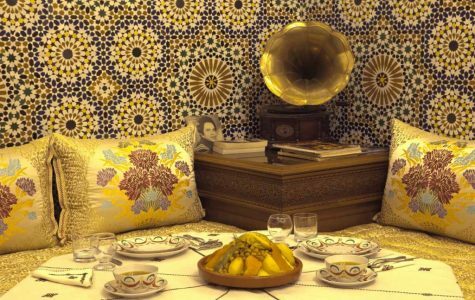 Riad Mazar Fes 2016 - 2017 All Rights Reserved. 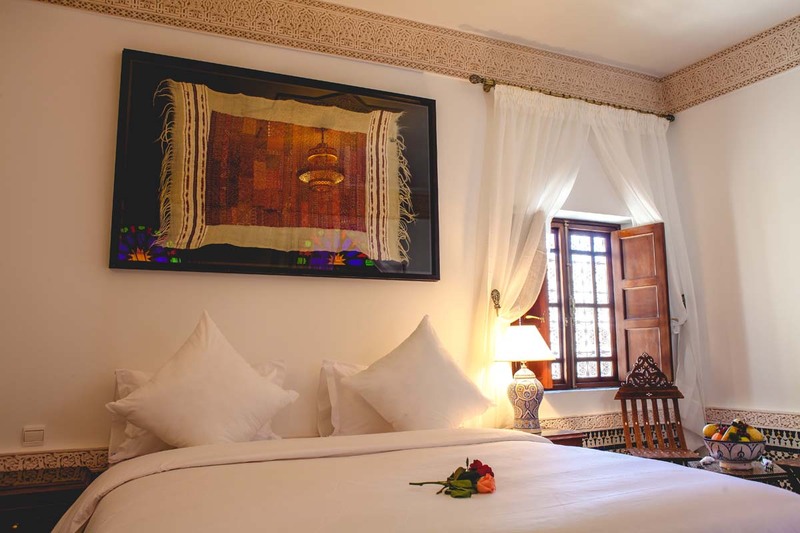 Created & Seo By Marocrank .